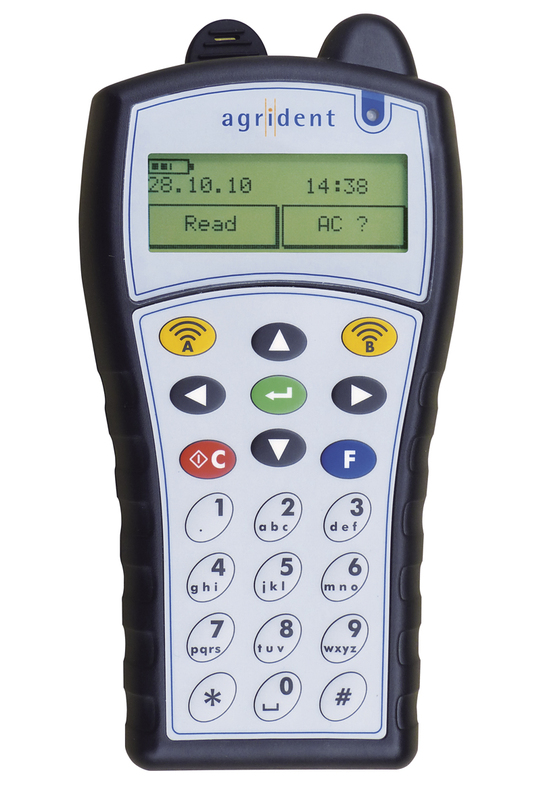 The portable ISO 11784/85 RFID 134.2 kHz reader APR500 set a new standard for connectivity at compact handheld readers. It offers an ergonomic alphanumeric keypad, a graphical display, a large memory and great connectivity in a very robust and ergonomic IP64 housing. 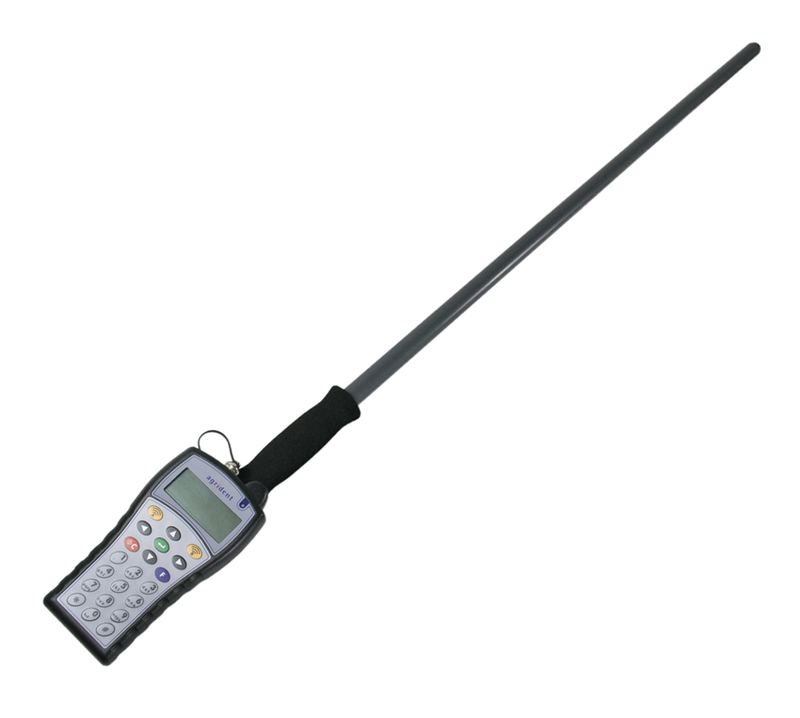 With USB, RS232 and Class 1 Bluetooth as standard interfaces and the optional GPRS or Wi-Fi versions the APR500 offers state of the art connectivity. In the CLASSIC mode user-defined action codes and numeric values can be combined with the ID. Visual IDs or farm numbers that can be assigned in the field can be displayed in addition to the electronic ID. The two HOTKEYS of the APR 500 can be programmed individually and run a combination of commands just by one button. In the TASK mode user defined sequences of different actions or commands can be generated. The tasks can consist of an EID scan, editable selection lists, time stamps, numeric and alphanumeric data, weight from a scale, loops (e.g. at lambing or loading) and lists (e.g. medicines). With the PC software TASKTOOL with graphical interface the creation of the individual tasks is very easy. The SCALE Mode can collect weighing data from mayor brand scales via RS232 or Bluetooth and save them with the ID. 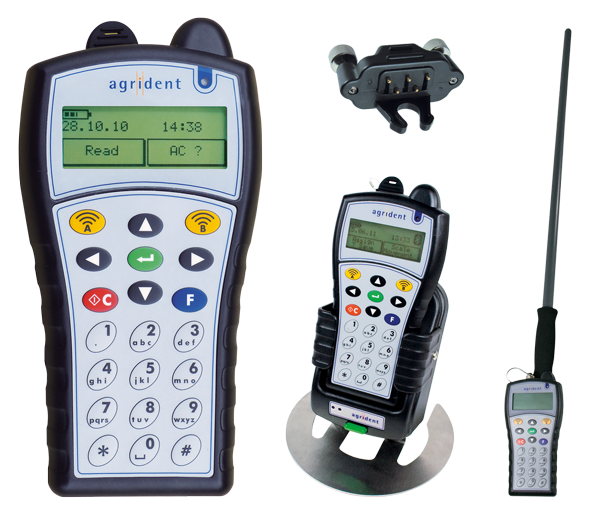 At the RACE Mode the APR500 works as display and memory for the stationary readers of Agrident. This is a flexible and very economic solution for fast race reading of flocks. In the REMOTE Mode the APR500 can be controlled by an external computer, e.g. a PDA, and can combine EID Scans with the data of the external device. 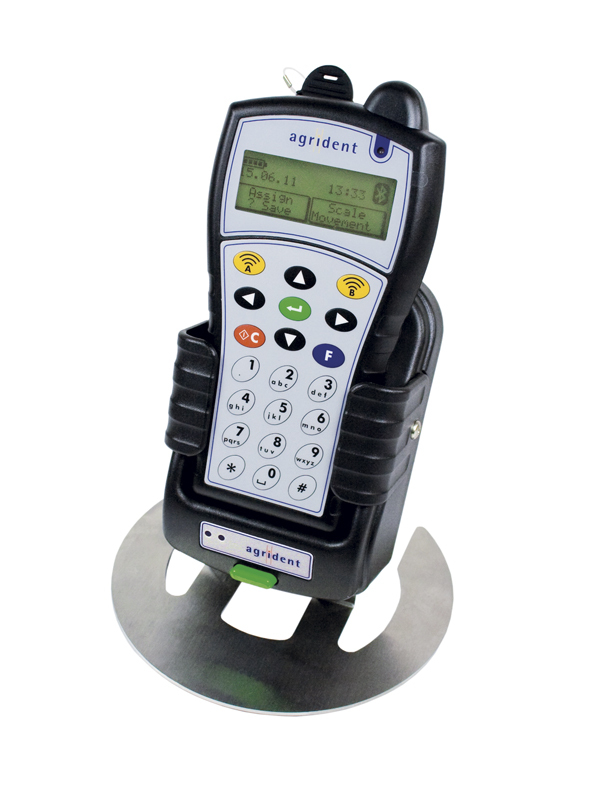 Loadable PRESET configurations the APR500 make it easy to switch the APR500 into different operation modes or set to the special configuration needs of user defined software. 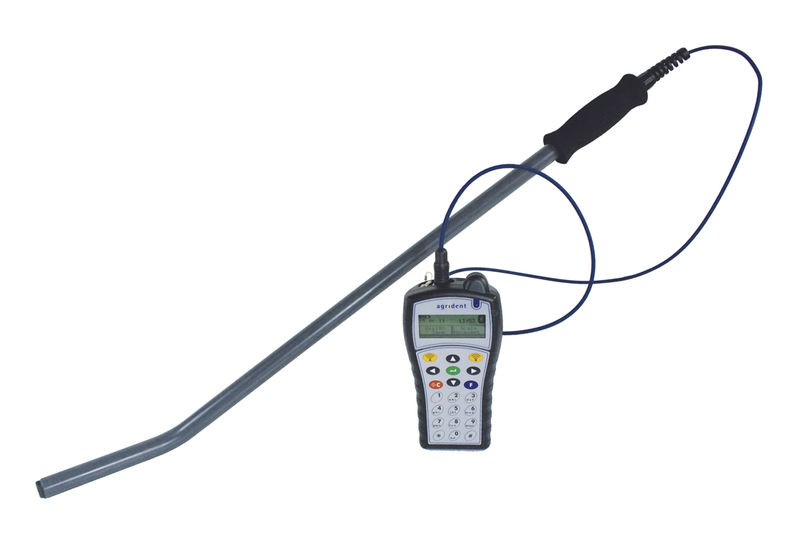 With the external stick antennas like the AEA580 or the mountable AMA060 antenna a longer reading distance is possible. For convenient power management the exchangeable AA Type rechargeable batteries of the APR500 can be recharged inside via USB without an additional power supply. For convenient communication and recharging an optional Docking Station, an additional USB Adaptor and a car adaptor are available.